In my studio, I have paintings everywhere. Some are in the process of being finished, others are waiting to be reworked. And then, the other day I came across, stored in a box, some paintings I completed a few years ago. At the risk of blowing my own trumpet, I thought ooh! they’re not bad at all. 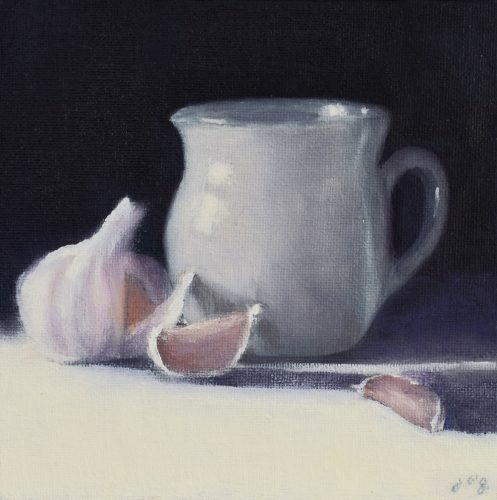 At the time, I was making small still lifes like these, often with just one or two objects and looking at the directional light of a milky morning. I was trying to sort of ‘sanctify the mundane’ not in any spiritual sense but by looking for the inherent qualities and beauty of the ordinary we don’t tend to really notice. 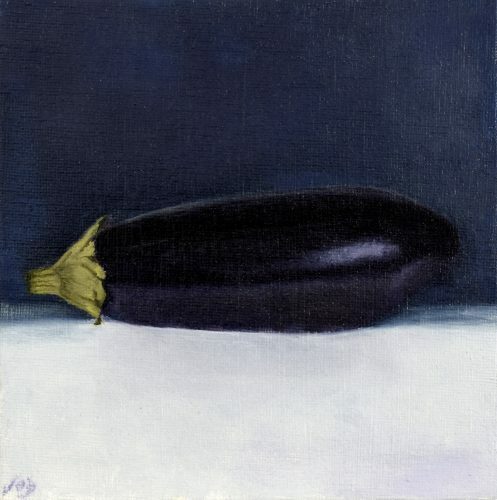 What appealed was the reflective light on the skin of the aubergine, the paper-like quality of the garlic head and the soft luscious texture of the plums. These paintings are easily framed and would make a lovely present. Below is an image of each painting. 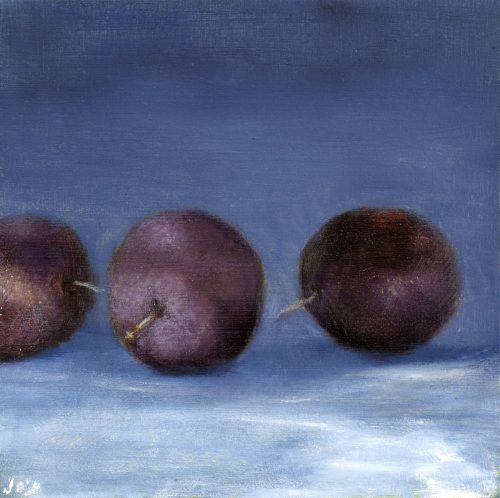 I couldn’t leave these three little beauties without a comment – a trio of sweet simplicity in calm complementary colours. Everyday objects, each with their unique colour, texture and form become transformed as we see them anew – through fresh eyes. No…they are not bad at all John! Thank you Christine, it’s good to hear you think ‘they aren’t bad at all’.